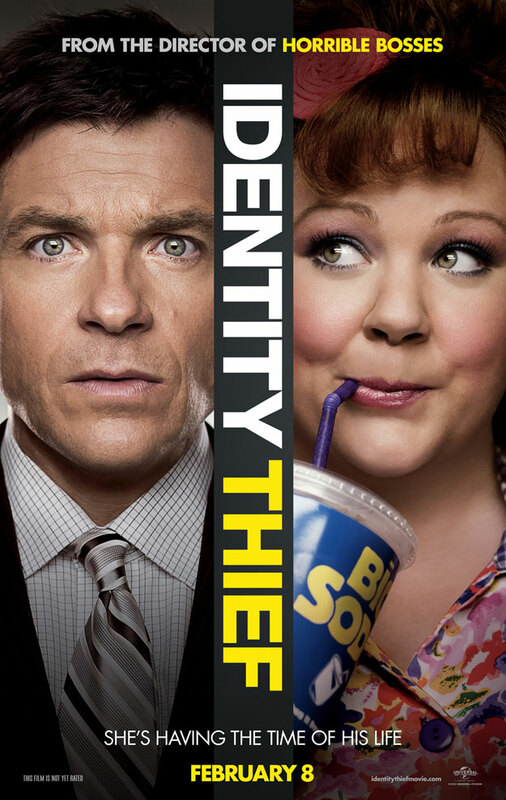 Several months ago we were treated to the first trailer for Identity Thief, which placed Bridesmaids actress Melissa McCarthy at odds with funny man Jason Bateman. The two face-smacked, ball-kicked and rumble-n-tumbled all throughout our first look. This time around, they’re at it again in round 2, but a third party joins the festivities and they’re looking for blood. From director Seth Gordon (Horrible Bosses) comes a story millions of people have experienced every year: identity theft. Only this time instead of sitting around, waiting for the Department of Justice to take control, Sandy (Bateman) decides to send the identity thief back to Middle Earth. There’s just one problem: Diana (McCarthy) isn’t willing to give up her new found identity so easily. Before you know it, the two enter a session of Super Smash Melee, using anything at arms reach as weaponry. The first trailer placed most of the focus toward McCarthy and Bateman, respectively. This time, the supporting cast behind the two received a bit of face time. There’s Amanda Peet (2012), who plays Bateman’s wife, and Morris Chestnut, who plays Detective Reilly. Did you spot Eric Stonestreet from Modern Family? That’s right, he plays “Big Chuck”, McCarthy’s late night play partner. In an effort to escape Sandy’s careful watch, Diana convinces our Cowboy of the Night that Sandy doesn’t like to get involved, but likes to watch promiscuous acts. This leads to Stonestreet putting on quite the show for Bateman. The trailer also gives us a better look at two people who are in hot pursuit of Diana: rapper T.I. and Genesis Rodriguez. Gordon could’ve easily cast Sofia Vergara instead of Rodriguez. Who wouldn’t enjoy seeing Stonestreet and Vergara on the big screen together? When you think you’ve figured out the story, Gordon throws a curveball. T.I. and Rodriguez may have received a quick shot here and there in the first trailer, but this time we’re aware of their motives as they hunt down Diana for stealing money from Paolo (Jonathon Banks). Word to the wise: Do not steal money from Paolo. The only person we have yet to see from the supporting cast is John Cho (Star Trek, Harold & Kumar). Perhaps we’ll have to wait till opening night to see what Cho’s involvement is in all of this. In a turn of events, McCarthy and Bateman end their quarreling, and team up against Rodriguez and T.I. All may seem dandy between the two — at one point Bateman even ask McCarthy to move to Denver to escape danger — but even after they’ve come to an agreement, the two have no problem serving a couple of blows to each other. Directed by Seth Gordon and penned by Craig Mazin, Identity Thief slams into theaters February 8th, 2013. TAGS » Eric Stonestreet, Feature, Identity Thief, Jason Bateman, John Cho, Melissa McCarthy, Morris Chestnut, Seth Gordon, T.I. When I saw the first trailer, I was like, “eh, whatever.” But now I’m actually starting to really look forward to this!